Guys, I think I need a marble cake intervention. This is the third marble cake recipe available on my blog – I started with the bog standard, but utterly heavenly vanilla and chocolate combo, then I made a GF chai flavoured one, and now there’s peanut butter too. WHERE WILL IT END?! I think – and I hope I’m not jinxing it by saying it out loud writing it down – that this could be my chocolate recipe. I’ve spoken before about how women in my family seem to have a signature chocolate recipe – gran has her chocolate mousse, mum has her chocolate cake. I’m constantly experimenting, so I didn’t really know what my chocolate recipe was. Until recently, when someone asked me what my best recipe was. I had to think for a while before I thought of my marbré. And you know, I think it kind of suits me. Two flavours melded together, opposite colours intertwining to make something sweet and good for your soul. A French name to remind me of my roots, but adaptable flavours for the girl who moved a thousand kilometers from the village she grew up in. A dash of nostalgia, a pinch of new discoveries. Betwixt and between, and all that. It’s also a cake perfect for sharing with your friends, it’s easy to take to work thanks to its plain loaf size, and tastes wonderful with a cup of tea or coffee. You can make it as sweet or as plain as you like to have it as a treat or for breakfast – because goodness knows some days, I need cake for breakfast. 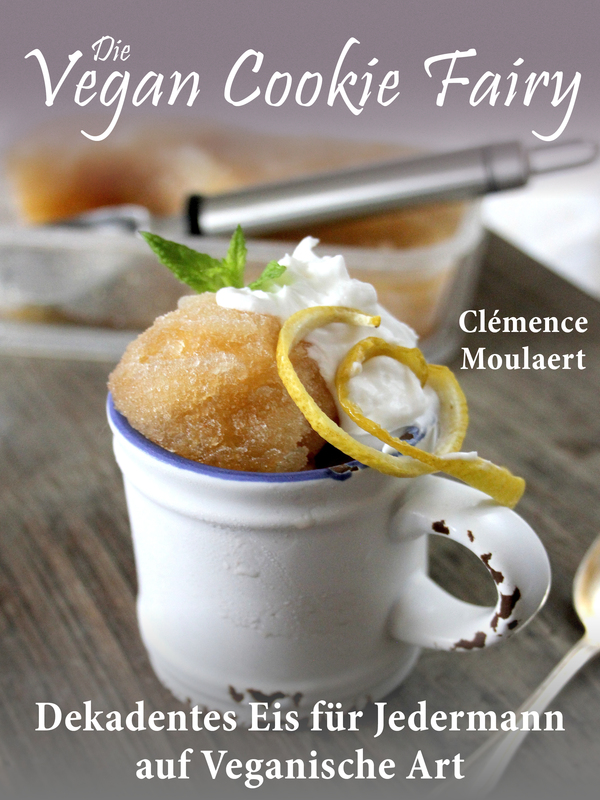 Pssst – my vegan ice cream book is now available in German! Wie aufregend! 🙂 Click here to purchase “Dekadentes Eis für Jedermann auf Veganische Art”, and if you do, please leave me a review! Pre-heat the oven to 180ºC (350ºF/gas mark 4). Line a standard loaf tin with baking parchment. In a large mixing bowl, combine the first 4 ingredients. If you haven’t melted the coconut oil yet, do so now (either in the microwave oven for about half a minute or in a double-broiler). Whisk the oil, milk and vanilla extract together in a bowl or cup, then fold into the dry ingredients. Pour half of the batter into a separate bowl. In one bowl, fold in the 2 tbsp of cocoa powder; in the other, mix in the peanut butter. Now pour half of the peanut butter batter at the bottom of the lined tin. Spread out with a spatula, then do the same with the chocolate batter. Repeat with the remainder of the PB batter, and finish with the rest of the chocolate batter. Bake in the oven for 50-60 minutes. Insert a skewer; if it comes out clean, the cake is ready. Leave on a wire rack to cool COMPLETELY before removing from the tin and slicing. *My favourite peanut butter is made by Meridian Foods. I find it’s runny enough to easily mix into the batter, and because it’s natural the full flavour of the peanuts comes through — much better than any cheap peanut butter full of oil and sugar. If you like your cakes extra peanut buttery, add up to 3 tbsp peanut butter. Do you have a signature recipe? Comment below what it is and what it means to you, I’m curious to know!